Do not let the Behavior of Others destroy your Inner Peace. Use this lovely quote to stay calm and clear headed in the face of negativity. 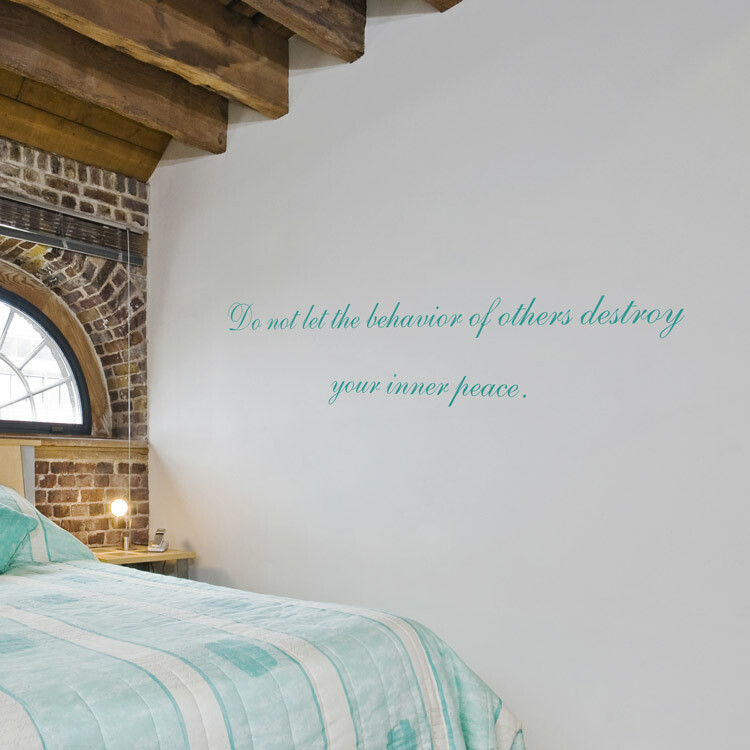 Our wall decals are ideal for bedrooms, offices, living rooms, entryways, classrooms, even your car or glass shower doors! The Medium and Large sizes come in four sections, for easier application. 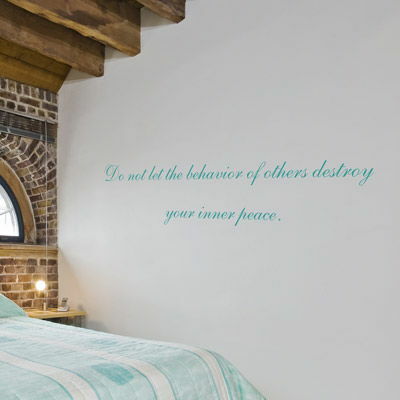 The Small size of this wall decal comes in one piece, ready for application. I love my musical notes, perfect addition for over my jukebox. easy and professional looking installation. thanks for the quick processing and shipping on my special order. I like this item very much.Nice color.